Until recently, the meat universe was generally unknown. What happened in the kitchen on Sunday mornings between my mum, the stove and the smell of roast was a mystery in which I used to cradle me, unaware of the joy you can feel when you are the author of those scents of home. Yes, because if home is where there is a family, home is where there is a hot soup in the winter evenings and the five o’clock tea and biscuits, home is also where the earth smells wonderfully of forest after the rain, where the smell of roast welcomes you in the kitchen, caressing your senses and soothing the worries. I decided to start cooking pieces of meat a little bit more challenging then a veal roll or a chicken curry for this reason: I wanted to be aware of the act of creating the magic spell of being at home, to be eventually the architect of a diffuse sense of well-being, of a pleasant numbness so typical of family Sunday mornings. I now completely understand why the fire has always been the hub of the home and the family, something to protect and keep alive: from the fireplace the healthy heat radiates everywhere, from there the life lights up the other rooms of the house and makes them vibrant, from the embers of the fire you give life to small wonders, true and hearty flavours. Along with the fire, we have another important tradition: the one of cast iron cookware, heavy, textural. I candidly admit that the turning point in the cooking of meat for me came when I started using these traditional pots that gave me enough confidence to make those meat dishes that I used to smell with transport and eat with as much satisfaction. Fire, iron, meat… back to the roots of our story! As with any self-respecting pork roast the meat is well browned on the outside, with a warm and reassuring hue, while inside is juicy and soft. The apples give sweetness and curiosity, whether they are served rustic as they are, just out of the pot, caramelized and soft, or as a creamy and fruity dressing. 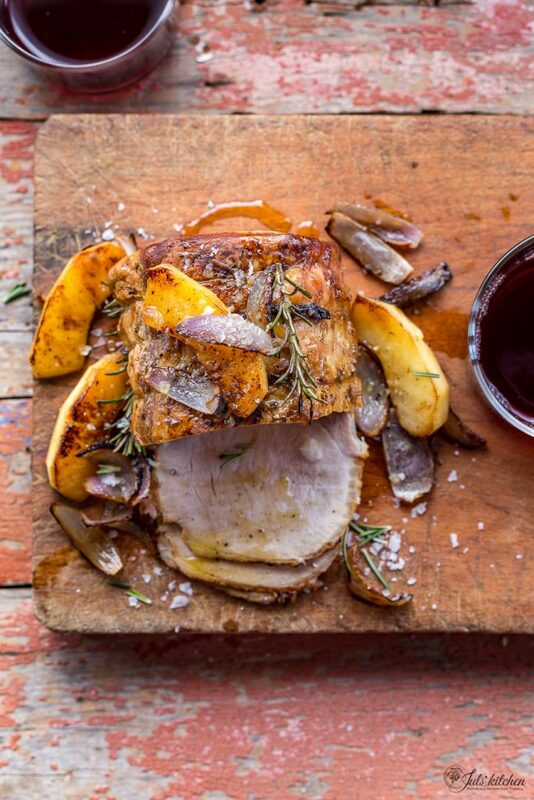 Pork and apples are made to be paired together. That roast looks wonderful roast! 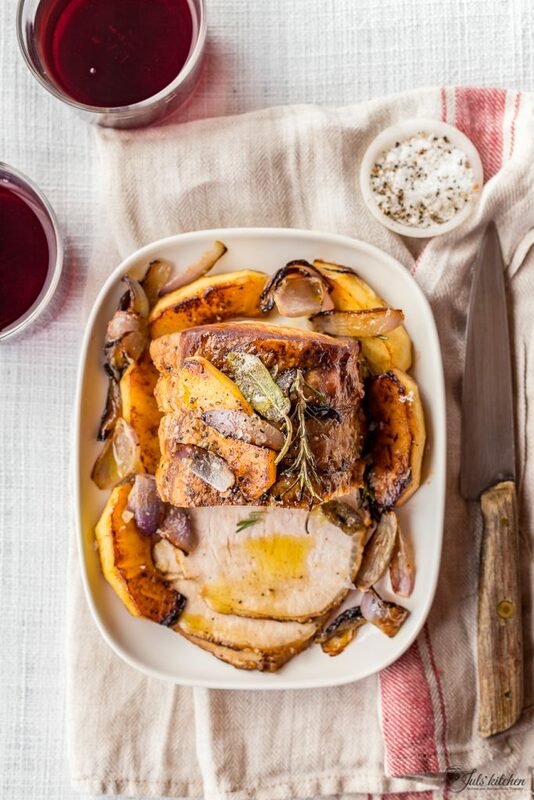 This is one great recipe!pork looks perfect! It has been awhile since I have pork roast and this is a wonderful reminder. Your method of preparation yielded a great main course and the meat looks so tender-Yum!. Great post. You know I love apples and pork together so this really is a dish I will enjoy!!! Apples and pork – what a great combo although its new to me but its definitely a delicious recipe. A classic that is always great! 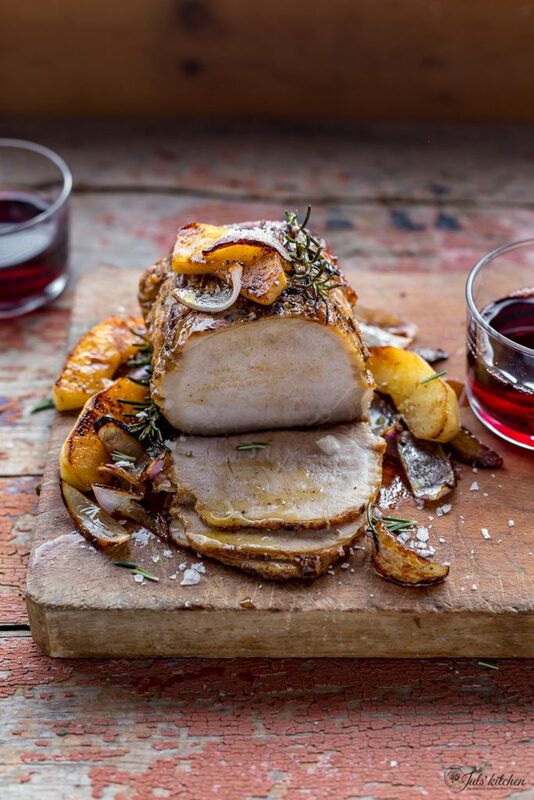 I usually do it in the oven, but should try your stove top method: the pork looks soo juicy! Wonderful post and your pics look amazing. I am thinking this will be cooking away in my kitchen this weekend! You are so making me wish that was what was coming out of my oven for dinner tonight! That looks SOOOO good. 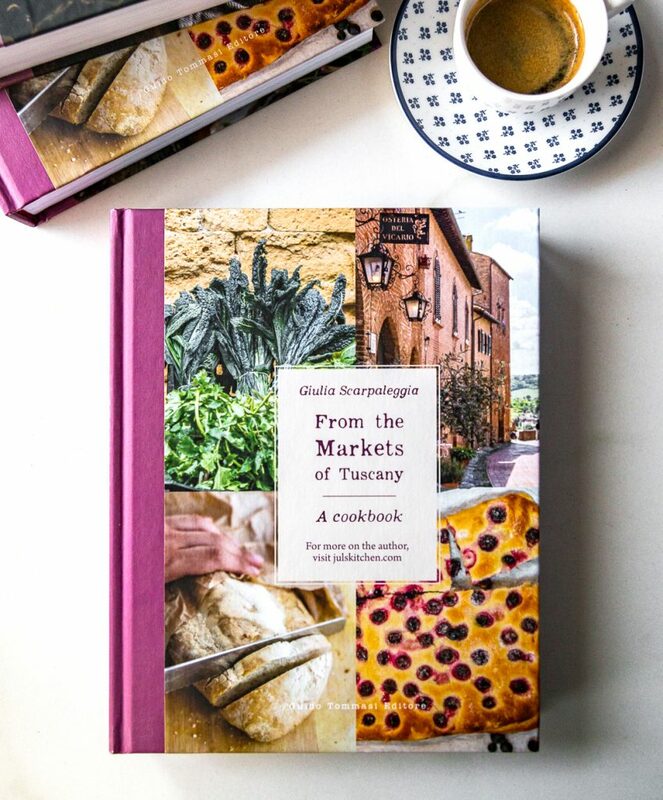 Bookmarked to make this weekend – I can smell the aromas already. Fabulous Juls. You’ve been reading my mind. I’ve been thinking about pork and apples as well! I think it’s a match made in heaven. Have you ever tried it with a hint of thyme in the applesauce? It brings the dish to a whole different level! This is so beautiful, I swear I took one look at that photograph and was instantly hungry! I think I’ve done something similar a long time ago that was Jamie inspired. Must do this one soon! Just made this tonight… turned out pretty good even though I fudged it (didn’t have a full roast, just some porkchops I dug out of the freezer). I used a Honeycrisp apple and some Riesling for the wine, and the puree turned out very sweet! Maybe it depends on the smaller piece of meat, and it cooked too long. I don’t know the Riesing, is it sweet or not? What apples and wine would you suggest? Hi Dena, I used floury apples, not too sweet, not to tart. As regard the wine, a plain cooking white wine, again, not too sweet! I purchased a pkg of two 2.5lb (each) pok loins & then went in search of a seasonal pork lon recipe. I like yours best! Do you think the cooking time will be the same, if I cook them both together? Thank you Mary Beth, I hope you’ll love the recipe just as I do! I just checked the conversion, and 2.5lb is a little bit more than my piece of meat here. So cook it a little bit longer, no problem if you’re cooking two pieces into the same (large) pot! Thank you! I will cook it tomorrow. We are celebrating my sister 25th Anniversary tonight. A perfect recipe to try soon! 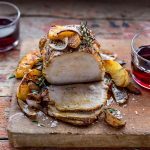 Pork and apples are great together, and I´ve been looking for a good recipe to try for a while. Ciao Paula, I’m happy you like it! OMG that pork looks amazing!! It looks juicy and looks as though it oozes with flavour! Making me hungry by looking at it! The combination of pork and apple is awesome. 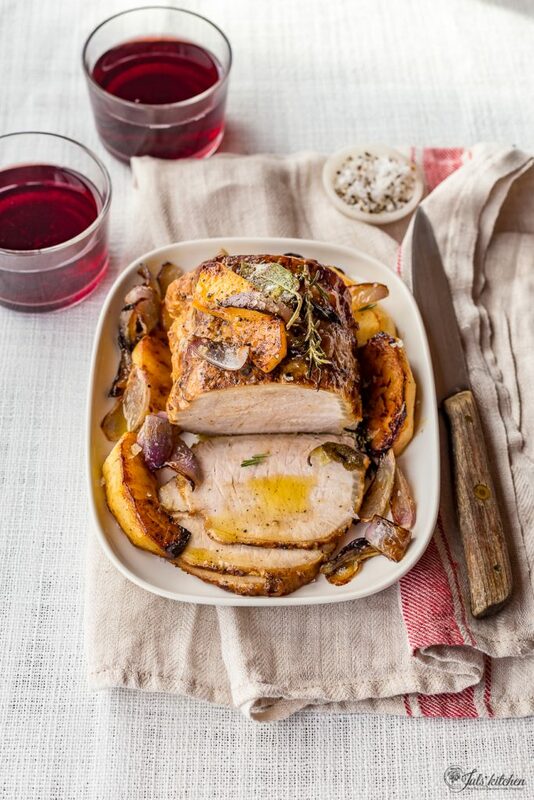 Thanks a lot for sharing your experience on Roast pork loin with apples. Thanks for this blog.